What is porosity testing machine? 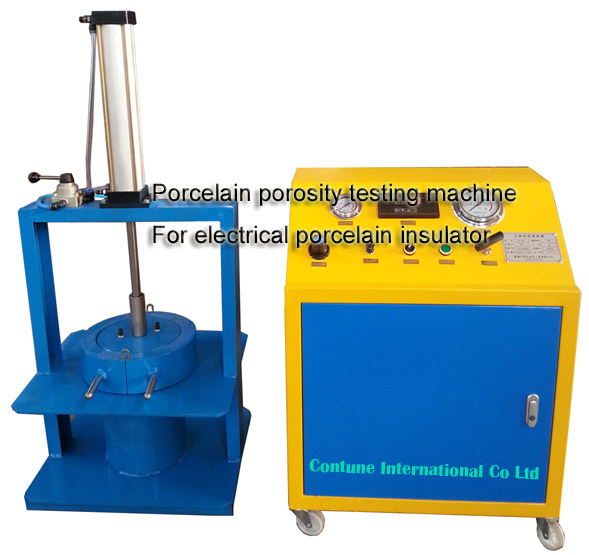 The porcelain shell porosity testing machine is mainly applied for testing the porosity of the porcelain insulator shell. Why do we need a porcelain porosity testing machine? To ensure the desired performance of an electrical insulator, that is for avoiding unwanted insulator failure, each insulator has to undergo numbers of insulator test. Before going through testing of insulator we will try to understand different causes of insulator failure. Because insulator testing ensures the quality of electrical insulator and chances for failure of insulation depend upon the quality of insulator. There are different causes due to which failure of insulation in electrical power system may occur. Now let’s talk about “porosity test”. If the porcelain insulator is produced at low temperatures, the porcelain insulator wil be porous, and due to this reason it will absorb moisture from air thus its insulation will decrease and leakage current will start to flow through the insulator which will lead to insulator failure. How do we perform porosity test for porcelain insulator? 1. The insulator is first broken into pieces. 2. Then These broken pieces of insulator are immersed in a 0.5 % alcohol solution of fuchsine dye under pressure of about 140.7 kg ⁄ cm2 for 24 hours. 3. After that the sample are removed and examine. The tested pieces are broken into smaller pieces and inside cross section shall be observed.Should there be any porosity,the presence of it in the material is indicated by a deep penetration of the dye into it. If there is no penetration of dye into it, we can conclude that the porcelain shell comply with requirements. Contune International always take after-sales service as one of our most important part. We provide FREE technical support in many ways for our clients, telephones, e-mails, online inquiry,skype,and etc. All possible means of modern communication are used for convenient contact between clients and us. 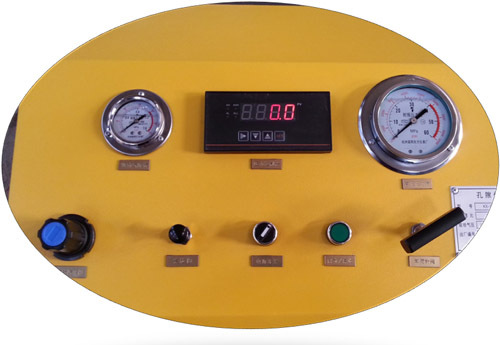 For this ceramic porosity testing machine(equipment), technical support is also provided for free via means above.